Health and beauty go hand in hand. Aside from a healthy diet and an active lifestyle, what else can you do to support a naturally beautiful appearance? Take your vitamins. 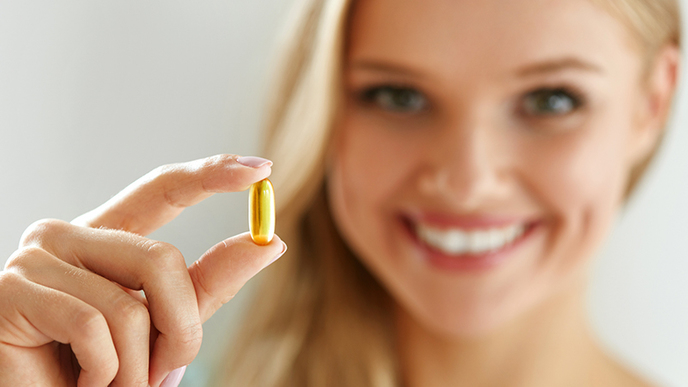 Vitamins have proven benefits to your overall appearance and wellbeing. Healthy bones, teeth, joints, hair, skin and nails can all be supported with the right supplements. But where to start? If perusing the shelves of vitamins at your local health food store, GNC or drugstore proves overwhelming, here are a few tips. Talk to your doctor. Your physician can lead you in the right direction towards the supplements and vitamins that best meet your personal health needs and goals. B-Complex with Vitamin C packs a healthy punch. If you’re going to start somewhere, Vitamin B-Complex with Vitamin C provides myriad benefits to your health and wellbeing. Comprised of eight essential B Vitamins in a single supplement, it supports cell metabolism and a healthy immune system. It also helps convert food into energy and prevents the body’s cells from oxidative damage while fighting free radicals. Perricone MD has a line of vitamin packs to support beautiful skin and weight management in a variety of combinations.